This year’s grapes have all been harvested. The South Willamette Valley’s many vineyards are now filled with young wines beginning the aging process anew. There may be no better time to get out and explore the nearly two dozen vineyards throughout the South Willamette Valley, as you won’t fight the crowds for your next pour—and the person doing the pouring just might be the person who made the wine. If you’d like to pair that tasting with a farm-to-fork meal or add to the fun with Pinot Bingo, you can do that, too. So whether you’re cozying up to a tasting room’s fireplace or getting comfortable in one of the region’s wonderfuland unique lodgings, here are seven reasons you should visit Oregon Wine Country this winter. Stop by your favorite winery in spring or summer, and you’ll rub elbows with wine lovers from all over the world. But in the winter, it’s a more intimate experience. Wondering how the winemaker got started in the industry? Whether they have an exceptionally good year in stock? What’s new and different about the latest blends? You have time to get to know the winemaker now. If you’re looking to learn more, chances are good you’ll find a winemaker willing and eager to discuss the finer points of their profession and offer tips on what to try. Just 22 miles south of Eugene, King Estate produces what might be the best Pinot Gris in the country (it’s also the U.S.’s largest producer of the wine). Sitting on the southern edge of the region, Saginaw Vineyard is also known for its Pinot Noir and Chardonnay. It’s true: You don’t have to look far to find award-winning wines in the South Willamette Valley. This is due, in large part, to a climate that’s reminiscent of France and fertile soils formed by volcanic activity. Of course, there’s also the fact that the region is filled with talented winemakers who’ve studiously practiced their craft here for years, if not decades. If you’re hitting up wineries in the South Willamette Valley this winter, add to the fun and discover all the region’s wine scene has to offer by exploring the South Willamette Wine Trail. Here&apos;s how it works: Start by downloading the Eugene Tasting Trails app, which gives you information on all the best food and drink options right from your phone. It’s also where you’ll keep track of your visits for bingo. Visit five participating wineries (just check-in using the app) and you’ll earn a signed art print by Eugene artist Robert Canaga. Complete additional visits and you can win additional rewards, such as a souvenir Riedel Oregon Pinot Noir glass. Winter in the Willamette Valley is known as “Cellar Season”–in other words, a good time of the year to fill up your wine cellar. With the young 2018 wines now in barrels, you can try each winery’s latest offerings, sample popular vintage releases, and talk with the winemaker about what they’re loving this season. With winter’s slower pace, you might even stumble upon an impromptu special tasting. If you’re looking to build your cellar, you’ll have plenty of options now. Consider joining a wine club to meet other enthusiasts and swap favorites. If you’re flying into the region, here’s a deal: You can check one case of wine from participating wineries for free when flying on Alaska Airlines out of the Eugene Airport (see here for rules and details). Sometimes, half the fun of enjoying a great wine is finding the perfect meal to pair it with. You’ll find no shortage of farm-to-fork food pairings in the South Willamette Valley. The broader Eugene, Cascades & Coast region hosts the best of what makes the Willamette Valley a preeminent foodie destination: The Pacific Ocean is legendary for its salmon runs—best paired with one of the region’s famous Pinot Noirs—while the valley’s farms and forests produce the fruits, vegetables, grains, and nuts that round out your next favorite meal. No matter your food preference, you’ll find something to love about the region’s dining scene: Roadside stands boast fresh produce, farms open up on-site stores to sell whatever’s fresh, and detail-obsessed chefs ply their trade in highway cafes and downtown hotspots alike. You’ll cover a lot of miles touring the South Willamette Valley’s many wineries, so leave the driving to someone else! Several local guides and chauffeurs offer private, customized wine tours tailored to your group’s interests and tastes. Whether via party bus, shuttle, or limo, they’ll get you where you’re going and share stories about historical attractions, local landmarks, and more along the way. Plus you don’t have to worry about how many samples you’ve tasted. One of the many great things about the South Willamette Valley’s wine region is that most vineyards and tasting rooms are a scant 20 to 30 minutes from Eugene and Springfield. But if you’d rather spend the night in scenic wine country, you’re in luck: The region features B&Bs, historic lodges, vacation rentals, and other lodgings for when you want to savor your trip a little while longer. 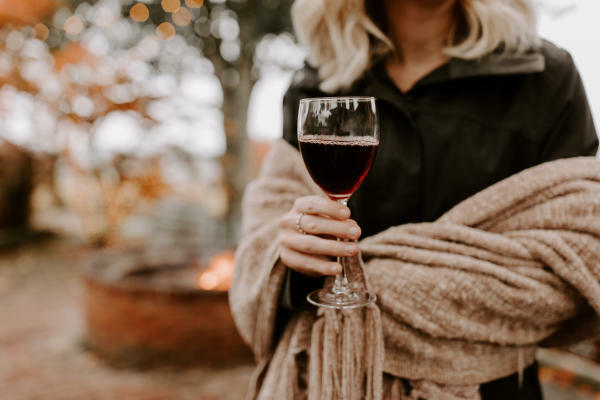 When you stay at the Inn at the 5th, a four-diamond boutique hotel located at the Fifth Street Public Market in downtown Eugene, you receive a complimentary glass of wine upon arrival. You’ll enjoy the rooms and suites with unique decor, fireplaces, window seats, and complimentary Wi-Fi. Also in Eugene, the Valley River Inn is a full-service hotel with three ballrooms and an onsite restaurant, SweetWaters on the River. In Springfield, conveniently located near Eugene, the Holiday Inn Eugene-Springfield features smart, contemporary design along with an indoor pool and onsite restaurant. The Village Green in Cottage Grove offers a full-service hotel, where you can walk through the 14-acre garden, relax by the pool, and enjoy live music at the Fireside Lounge. For those who prefer the more intimate setting of a bed & breakfast, the Territorial Bed & Breakfast & Barn in Junction City is a 50s-style farmhouse and horse stable with two private bedrooms. It features a generous continental breakfast, plus a “farm stay” experience if you’d like to get your hands dirty. No matter where you stay, you’ll find the region has lots to keep you busy on a weekend getaway. The crowds may not be quite so big, but the wine tastes even better. Written by Matt Wastradowski for RootsRated Media in partnership with Travel Lane County.